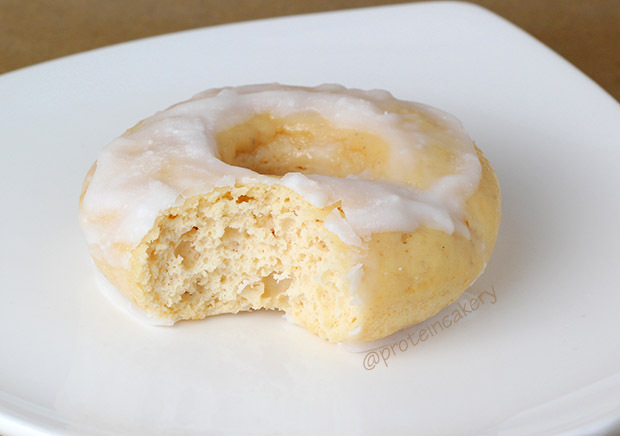 When I first started making protein donuts, a reader wrote in to ask for old-fashioned sour cream protein donuts. 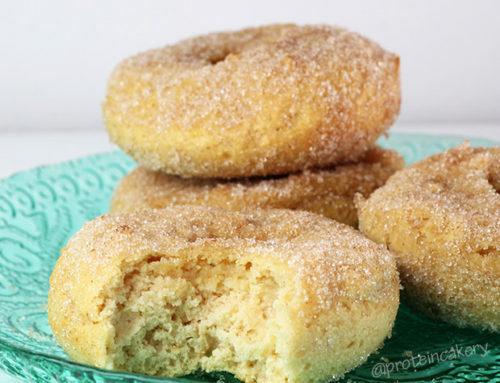 I had never heard of a sour cream donut, but I’m always up for a challenge! Since I didn’t actually use sour cream in this recipe (Greek yogurt does the trick!) I’m calling these sourdough. 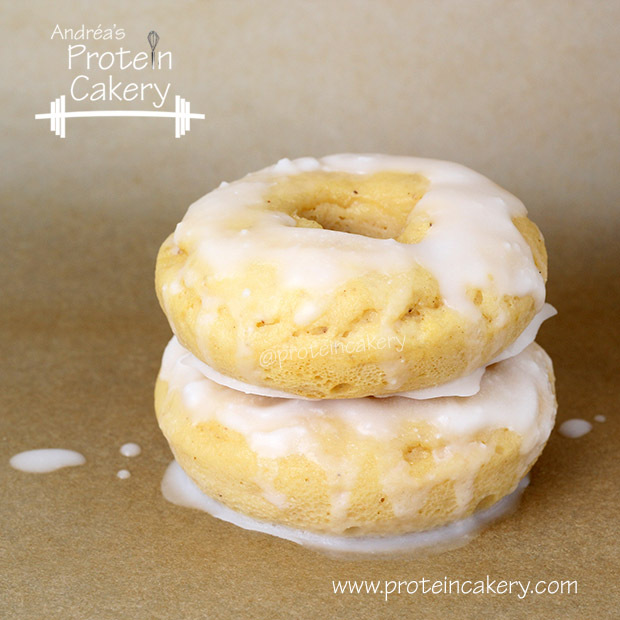 And here you have Glazed Sourdough Protein Donuts! 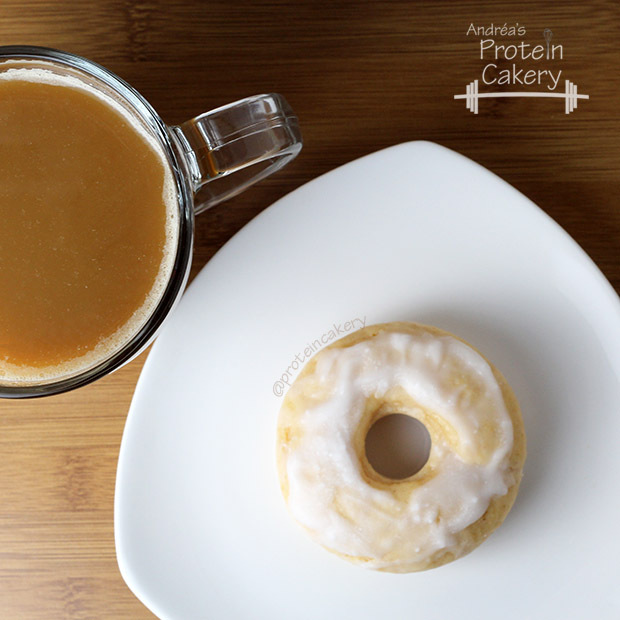 I used Jamie Eason’s Vanilla whey protein here. 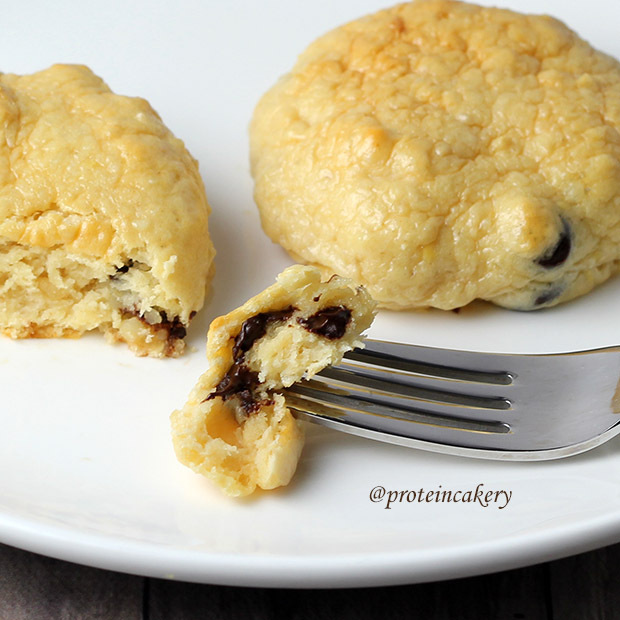 Some protein powders bake better than others, and this is one of my favorites to bake with! 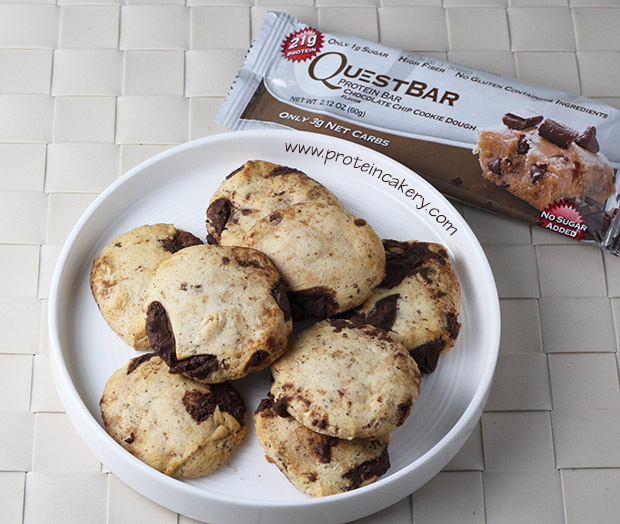 The flavor and texture are really great with baked recipes. 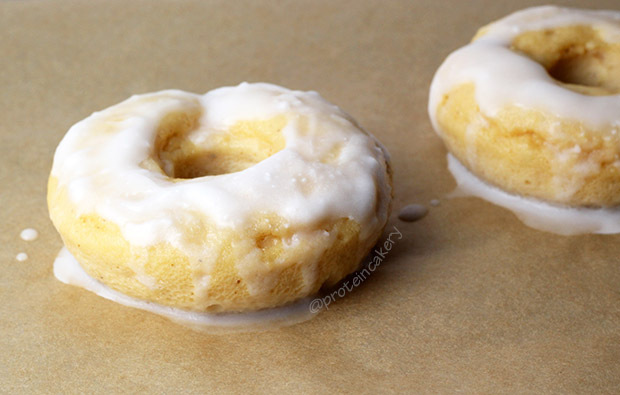 And I’ve used this silicone donut pan. It’s a nice size, and it worked well! To get the sour cream taste with better macros, I used non-fat Greek yogurt. 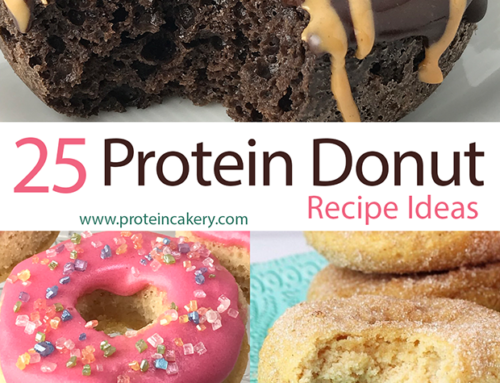 This substitution also works well with my Aunt Chubby’s Protein Cheesecake recipe! 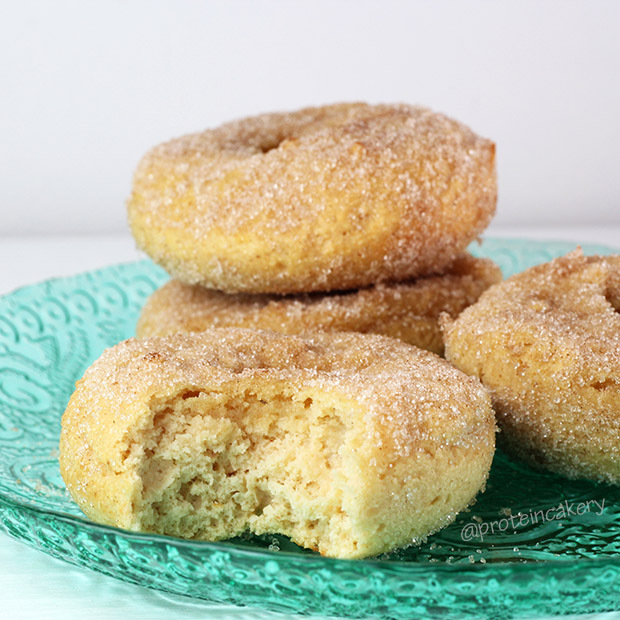 I’ve been a little behind on fulfilling reading request recipes, and I’m trying to make up for that now. 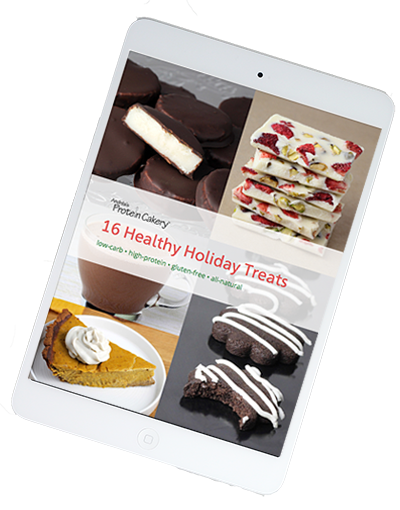 Lots of great recipes to come! 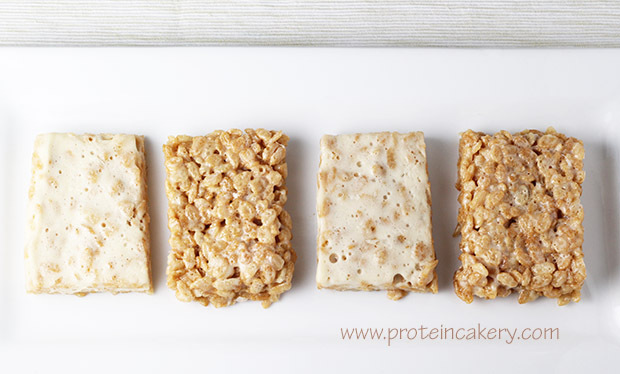 Mix Greek yogurt with egg whites until combined. 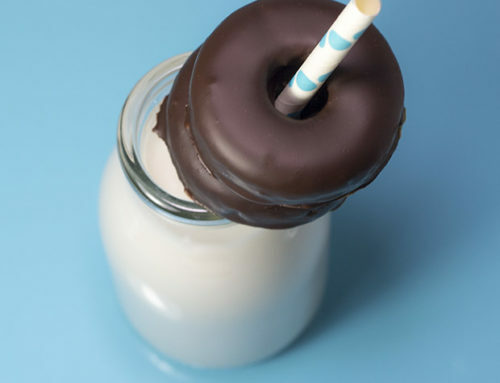 Add remaining donut ingredients, and mix well. Bake for about 20 minutes, or just until cooked and firm. Don't overbake! Let cool, and remove from pan. 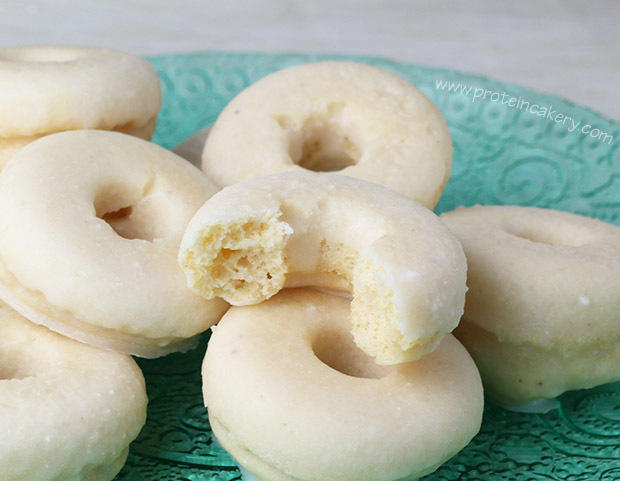 Place donuts on a parchment-lined dish. 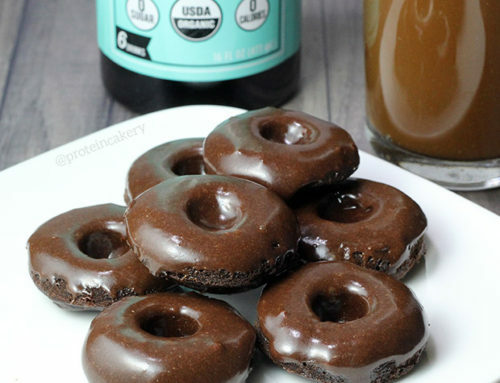 Mix glaze ingredients, and pour over donuts. Place dish in the refrigerator to set the glaze. 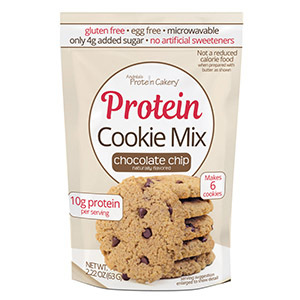 If you include the carbs of erythritol (a natural, zero-calorie sweetener), it adds approx. 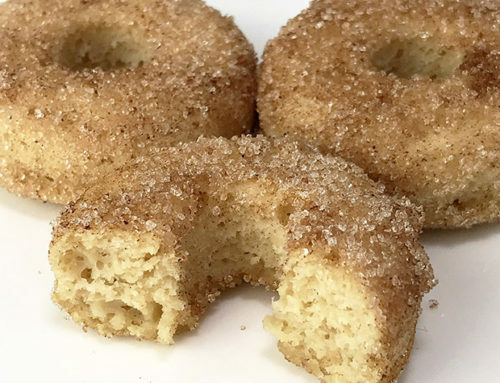 4g per donut but does not change the calories.